Looking for a great investment property? 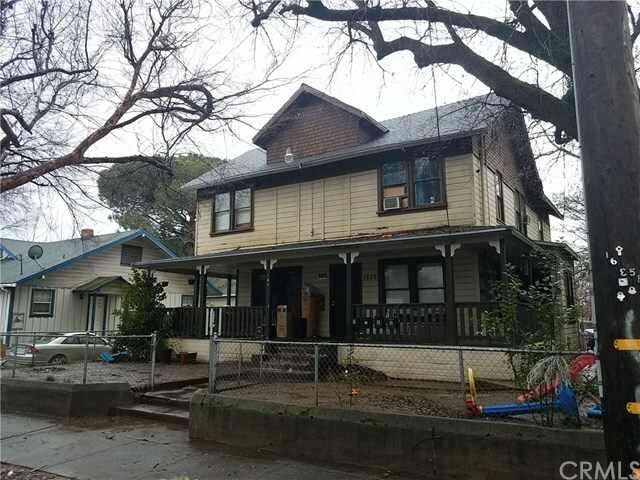 This 4 unit development is located in beautiful downtown Oroville, conveniently located near parks, schools and shopping. There is a charming wrap around covered porch, fenced front yard, large parking area in the rear and a small basement for storage. The units include one 3 bedroom 1 bath, and three 2 bedroom one bath units. Sq. ft., bed/bath counts, lot size, etc taken from public records and has not been verified by agent. The information contained herein has been obtained through sources deemed reliable but cannot be guaranteed as to its accuracy. Buyers are advised to investigate to their satisfaction. Any information of special interest should be obtained through independent verification. Selling Office: 3 Point Real Estate & Const.